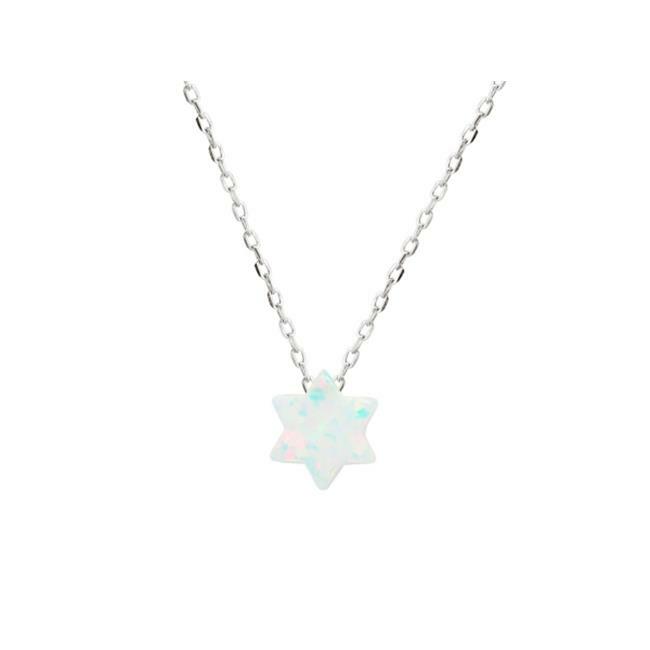 A delicate mini opal stone Star of David protector pendant necklace, set in rhodium plated sterling silver. 15 in. long with a 2 in. extension.